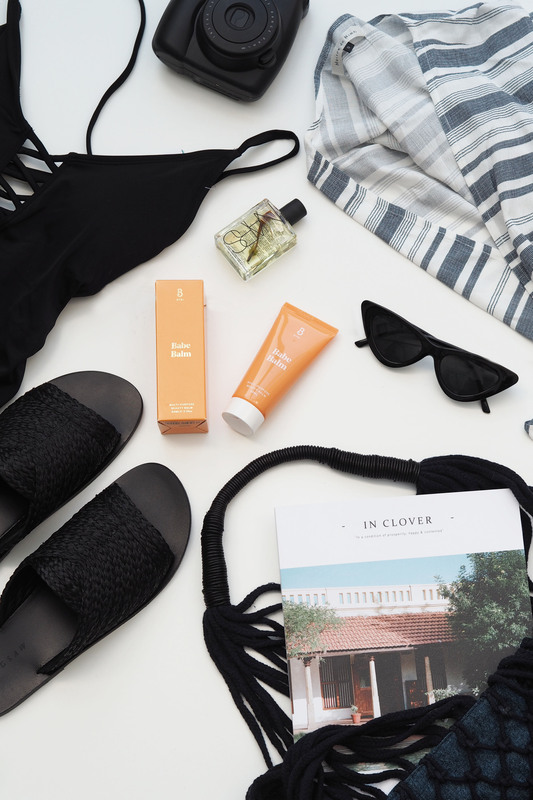 Home > fashion > What’s In My Beach Bag? Summer is finally upon us, and I for one can’t wait to jet away in search of warmer climates, sandy toes and salty hair. Our summer travels will be somewhat reduced due to doing the house up, but we’ve penciled in a week during July to book a much needed getaway. At the moment I’m toying with Italy or Croatia, although Italian food is always the best isn’t it? Give me all the pizza and pasta! Puglia is looking tempting, although I’d also love to head back to the Amalfi coast, can I just go everywhere?! I live for travel, and although I know I should really be prioritising home improvements (or should I say a complete renovation) I just can’t stay in one place too long, I’m itching for evening walks on the beach and exploring the unknown. 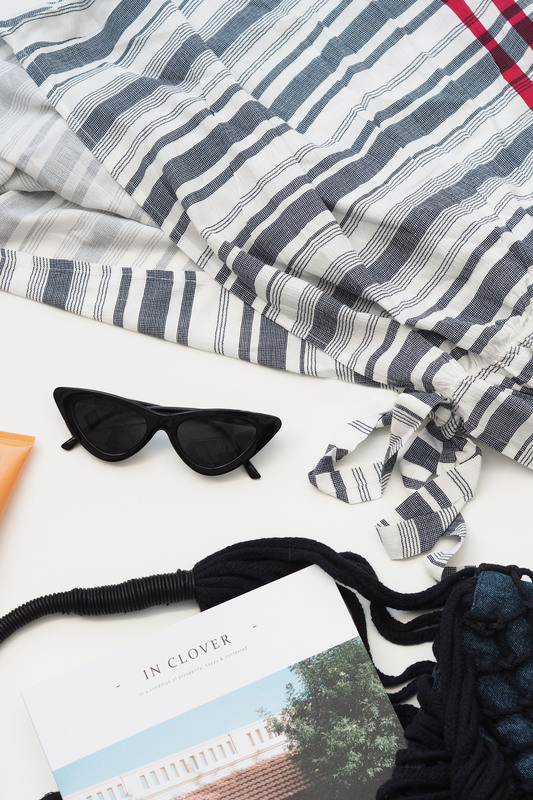 My holiday wardrobe is usually fairly simple, I like to stick to a neutral colour palette so it’s easy to mix and match the limited items in my suitcase. Expect my holiday clothes to be mostly black, white and beige. Perhaps with a couple of wildcard items thrown in. My holiday makeup routine is even more minimal, I tend to go makeup-free and leave my hair to do its thing, which usually means crazy waves and a fair few knots. A good moisturiser to maintain hydration is about as high maintenance as it gets, it’s what holidays are for after all. 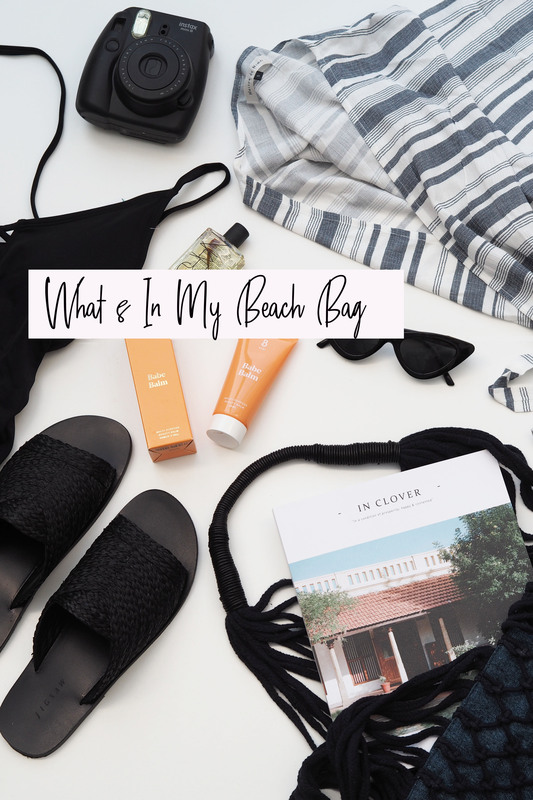 I always take a roomy beach bag, big enough to chuck in all of my essentials including a magazine/book, coverup, towel, sunnies and a few products including lotion and moisturiser. 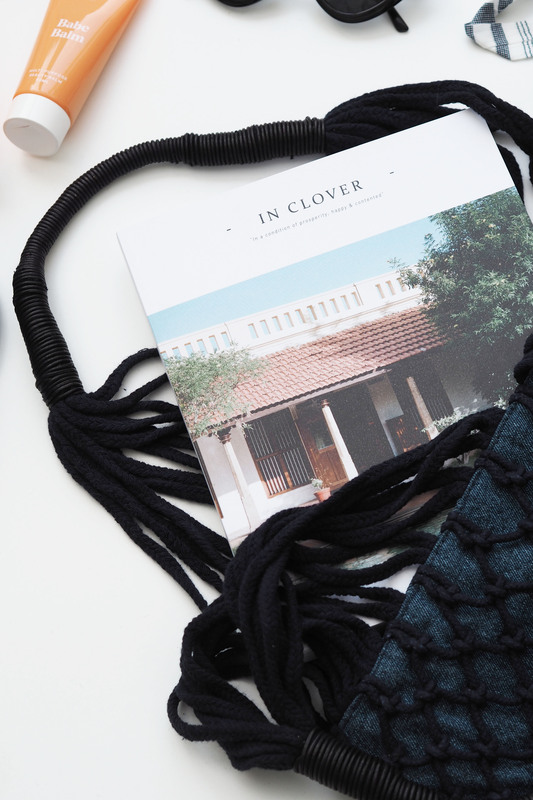 I’m loving this beach tote from Label Lab which is channelling the string net bags but with a more structured inside so as not to lose your favourite lip balm through the holes (it happened to me once ok). The Babe Balm is a great travel sized wonder product, offering multi-purpose use from lip balm to hand cream. It’s a really fab all in one which I’d definitely recommend if you’re looking to keep your products minimal (extra space for shoes!). It apparently also works well as a highlighter which I’m yet to test out, it really is an all in one. A coverup is a beach essential for me, something to chuck on when I’m ready to stroll over to the bar for another vodka lemonade lime. A light, breezy style is always my preference and I just love this striped design from Maison De Nimes, I’ll be wearing it with the black swimsuit and slides. Whilst I used to be a strong bikini fan, I’ve actually grown to prefer a one piece, which is also handy to hide my inevitable pizza baby. This style is actually on offer for £14 at the moment, bargain! The slides have already had plenty of wear out of them, and are perfect from going to beach to bar. They’re simple yet chic and a must-have holiday item that goes with pretty much everything. What’s not pictured: sun tan lotion, aftersun, plasters (you never know…), insect repellant and a thousand hair ties which I’m guaranteed to lose by day 2. Whilst I try and rock the ~beach babe look, half the time I’m shoving my hair up in a top knot whilst *trying* to remain cool. 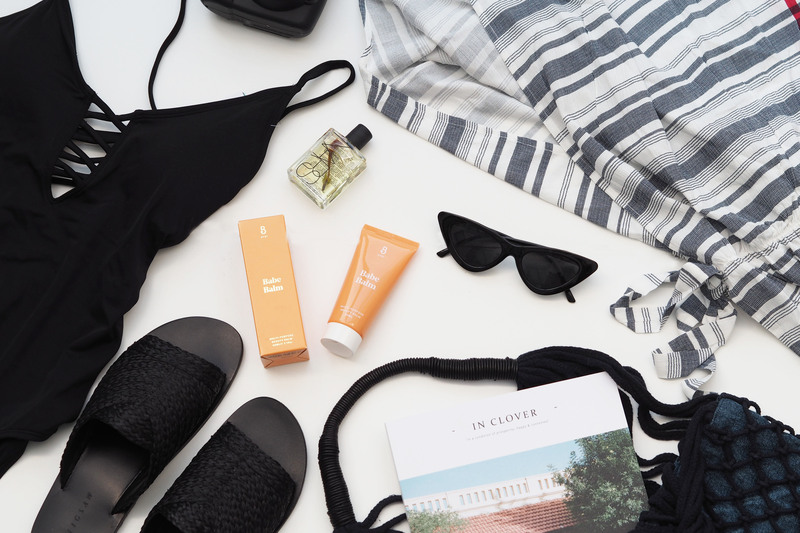 What are your beach bag essentials? Take a peek at the House of Fraser Holiday Shop and holiday accessories here!